Have you ever had to use a compass to survive? I haven’t. I’ve fiddled around with one and used it for fun but my survival has never been dependent on one. A friend of mine told me about a time in his life where his compass literally saved his life. He was hunting on a remote island in the upper part of Michigan. He was dropped off and expected to be back at the drop off point a few days later. It was the first time in his life where he was completely alone and totally dependent on the provisions he had brought for himself. But no matter how much he argued and disagreed with the compass, the compass did not change and so he was left with a choice – follow his own internal instinct or follow the compass. Even though everything inside him was screaming to follow his instincts, he chose to follow the compass and he arrived at the rendezvous safe and sound. It is Truth that is strong and just like a compass always right but how many times do we find ourselves, just like my friend did, arguing with the Truth? Your boss asks you to fudge the numbers and indicate that the company is giving more than they really are. And you rationalize that there is no way God would want you to lose your job over a few exaggerated numbers. Or maybe it’s a conversation with your boyfriend of 5 years and you realize that he really doesn’t want to follow God like you do and you think there’s no way God would want you to break up with him – you’ve been together way too long to consider that. Maybe you find yourself disagreeing with the truth when you’re in a difficult relationship with a family member. God is calling you to humble yourself and reach out to them with love. You throw all kinds of reasons at God why you shouldn’t do that – she doesn’t deserve it, he is way too arrogant, she never thinks of anyone but herself . 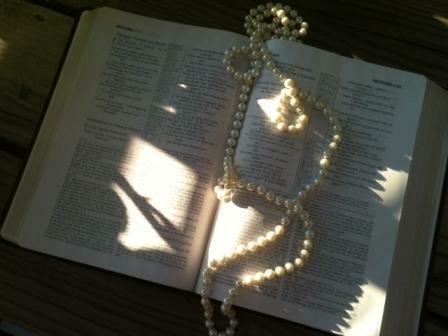 . .
What is God calling you to do? 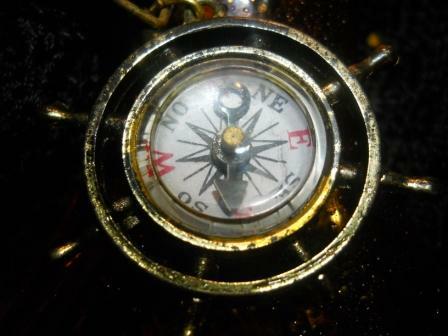 Is He calling you to trust your Compass and move True North. Does He promise you won’t lose your job, your boyfriend, and your friendships? No, but He does promise that He will travel with you and guide you safely to the Rendezvous Point. ← What dog are you feeding? Oh – what a beautiful post with such an important message. I needed this one, my friend. Thank you. I love this post, Kristi! Thanks so much for sharing it on Monday. What a great analogy! I”m having trouble posting, so I'm piggy-backing on Dana's comment! The excellent analogy you used brings this point home perfectly.